In nov. 2010 I took a roundtrip to guitarstores in New York City. I landed in JFK and went directly to Chelsea Hotel. Me and Dan had some very good conversations about collecting guitars and life around them, the international guitar market in generel. 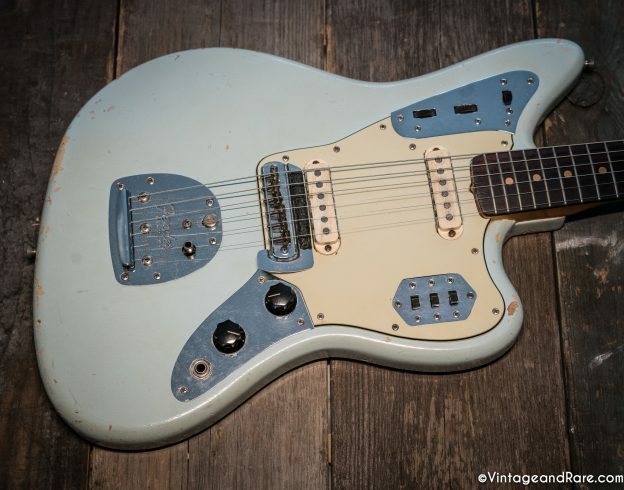 During one of these conversations – Dan, the owner, showed me a very rare and unique vintage guitar. 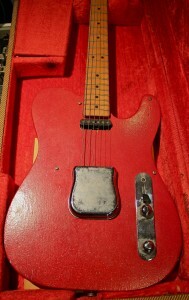 When Dan opened the case all I could see was a red telecaster model in a newer case. I really didn´t think much of it in those few seconds until Dan started to reveil this amazing story. I had no idea that this very guitar was one very first prototypes and furthermore that they were made in custom colours, as Dan explains. So I was very surpriced to know that I was looking at a very important piece of guitar history. I hope you will enjoy the YouTube-vid and pics. Feel free to help us share it.